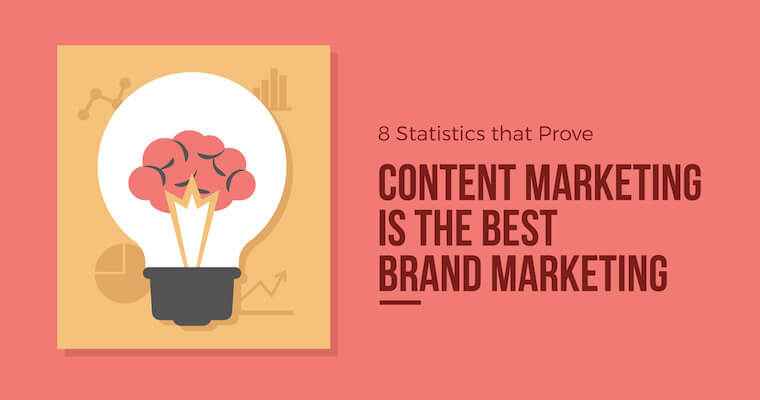 8 Statistics That Prove Content Marketing Is the Best Brand Marketing - Sun&Moon IT Services, LLC. Seth Godin once said: content marketing is the only marketing that’s left. What do you love most about your favorite commercials? Flo’s antics for Progressive? The talking llama who touts the services of Bank of America? Or, maybe it’s the talking lizard from GEICO, Kevin Hart imposing on his daughter’s date (part of which takes place in a Hyundai), or those dressed-up Doritos dogs? How about the last blogger you read from that helped grow and chisel your skills, from writing a better social media post to marketing your entire presence online more effectively? Incredible examples of effective brand marketing are not difficult to find, especially in an age of social media and instant connection. Great content marketing that supports a brand well leaves a positive impression, causes us to remember names, and gives us an in during office conversations around the coffee machine. Effectively done, it gives a brand an image and a voice that speaks volumes to our direct needs and problems, with a solution. Cost and effectiveness? Content marketing far outweighs traditional media advertising and marketing. Let’s talk more about why content marketing is today’s marketing. Branding isn’t your company name. It’s not a tag line. It’s not a logo. Branding is just another name for creating a perception. A brand is not a website, a color, or a design. It isn’t even a name. Rather, it’s the meaning behind the words, which is why content marketing is so important. Americans don’t spend money on expensive coffee because they love the green and white mermaid who graces the cup, but because of what’s inside. If the content of the cup was lacking in flavor and extra-hot-triple-shot mocha goodness, no one would buy it. Content marketing may be as pretty as our Instagram filters can make it, but if it’s lacking in depth and relevancy, it won’t speak volumes about the brand. The cup will be empty and no one will want to stop for a drink. You have to go deep–think deep, create deeply, feel your audience deeply. Here are a few brand examples for inspiration…. If you have questions about how this article pertains to you, please reach out to us today.